[Hero Guide] Kagura - Onmyouji Master - Guides - Mobile Legends: Bang Bang - Powered by Discuz! Before resuming to read this topic discussion. This Guide is written in purpose and is preferrably useful for the ones who wants to assimilate the combos and advantages as well as to master her movements and learn what her usage in the game is. Although everybody knows that Kagura is definitely a Mage, not a Mage-Assassin nor an Assassin or any much roles. Kagura is a Mage that deals massive burst damages unto her foes. So I prefer you to use her if you want to win countless of game challenges in the Land of Dawn. So, before we'll start, let me congregate her information (Including her Skills, her Background Story, etc.) here. 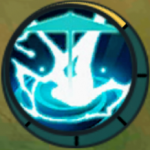 When the Seimei Umbrella and the hero become as one, generates a shield absorbing 300(+180%Total Magic Power) pts of damage and stuns nearby enemies, slowing them down. This effect can only be triggered per 4.5s at most. Kagura's Passive skill allowed her to become a monstrous mage when it comes to killing her enemies one by one. 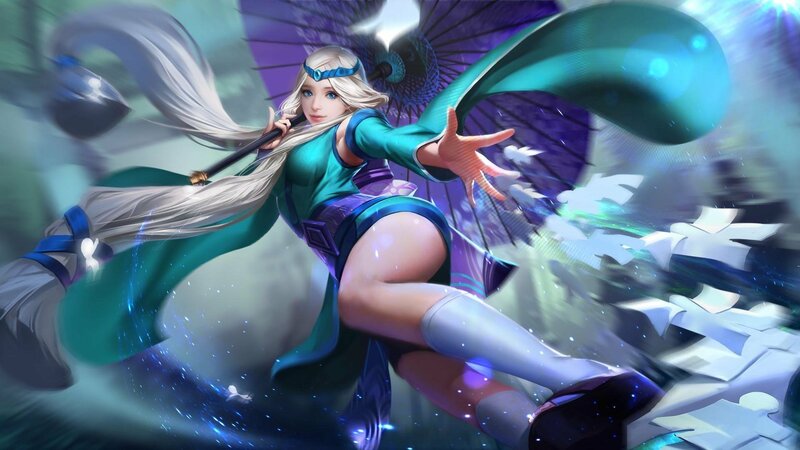 The Yin Yang Gathering, the passive skill of Kagura enables her to stun and deal magical damage to her foes once she'll connect with her umbrella. Although this is useful enough to prevent your enemies from escaping. Move Seimei Umbrealla to the designated area, dealing 330(+130%Total Magic Power) pts of Magic Damage to the enemies along the way and lowering their movement speed by 60%. Kagura's first skill enables her to mockingly deal massive amounts of burst damages to her foes. This umbrella enables her to ; Kill, Escape, and to Pursue. Yes. This skill is very useful. Obviously, once the game starts I prefer you to activate this one first instead of the second. With Seimei umbrella: It removes debuffs. Kagura moves towards a direction and leaves the umbrella behind. Without Seimei umbrella: moves to the umbrella and take it, dealing 205(+90%Total Magic Power) Magic Damage to the nearby enemies. This skill is used for ; Pursuing your enemy, Escaping from your enemy and for stunning (Purple form only). I don't have enough information to provide for this skill.. Cause everyone already knows this one. Wiseful usage is required when using this skill. One mistake and you're screwed. With Seimei umbrella: deals 260(+120%Total Magic Power) Magic Damage, knocking back and slowingnearby enemies. Without Seimei umbrella: The umbrella deals 330(+100%Total Magic Power) magic damage to surrounding enemies and generates a link to them, reducing their movement speed. Meantime, using this skill also will reset CD for "Seimei Umbrella Open". 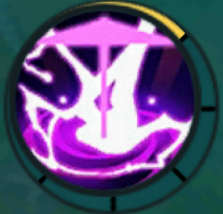 If the enemy cannot break loose from the link after 3s, they will receive 450(+180%Total Magic Power) magic damage and be pulled towards the umbrella's area. (As long as the targets are withing range of link , the link won't break, even if 1st or 2nd skill are cast during the link). Useful enough to slow down enemy or to kill enemies. A CC (CrowdControl) skill-type. The mage emblem set enables Kagura to become much more deadlier and way more cunning than ever. Adding up to a maximum of 17+ Power into the statistics of the Hero in the game, can allow the hero to deal massive amounts of magic damage even while in early game. It is recommended to use this Mage Emblem set if the level of this emblem exceeds the level of the Magic Emblem Set. Yet, if your Magic Emblem Set's level is way higher than the level of the Mage Emblem Set, use Magic Emblem instead. The retribution battlespell enables you to farm faster/jungle faster thus to save you some time to feed on the wave of upcomming enemy minions. Mostly, Kagura Users use this Battlespell (It is highly recommended) Since Kagura is a Jungle-Type mage. She needs to be stuffed and must have the advantage over the enemy (If you know how to use the One-Eyed Magician ; Cyclops, then I bet you can use or master Kagura easier). Retribution also allows you to slow (Only if you purchased the Jungle Item Stardust Shard) your enemy, preventing them from escaping. Kagura deals burst damages though, she can kill her enemies in an instant and can also sneak up onto her preys (MMs, Mages, and Fighters.). As far as I know, Kagura deals medium damage when it comes to a battle against the Enemy Tanks. Tanks such as ; Hylos, Tigreal, Minotaur, Grock, etc. Can counter and weaken Kagura. They can buy some time for their teammates and can even trick Kagura's skill by letting her use onto them instead of her enemy Mages and MMs. While using Kagura, use the Battlespell Retribution wisely thus choose your enemies wisely too. Choosing or picking a 1 on 1 fight against an enemy that has a higher advantage than yours can easily eradicate your hero. - The Hunter's Knife is a Jungle Item which will enable you to farm or feast onto enemy creeps/minions and level up faster. Also, this item enables you to kill Jungle Monsters way more easier and Level up faster than usual. Once the game begins, go to the Shop and open the "Jungle Items" Tab. Click the "Hunter's Knife" and Purchase it. Once done, close the "Shop" and feast the first wave of the enemy minions (Note : Kagura is recommended to stay and manipulate Middle Lane, this is to enable her to get the higher advantage against EXPs and Golds/Cash.) Once the first wave of enemy minions are over, go and jungle, then do the same over and over again. - Perfect for Mana Regenerating, this is one of the main items necessary for Kagura. If you're starting to realize that Kagura's skills drains a lot of mana, then buying this Magical, Enchanted Talisman will enable your Mana Regenerating Rate, to go faster. Also, will add 55% Magic Power to your InGame Statistics. There's not much to explain about this item. - Boots are necessary for each of the characters in the game, it will allow the character to move with haste. This Arcane Boots will add +40 Movement Speed along with some Magic Penetrations into your InGame Statistics. A Necessity for a Kagura User. Also, Arcane Boots can be replaced with Wizard Boots. Magic Penetrations will enable Kagura's skills (Especially her 1st skill) To easily penetrate and ignore your foe's Magic Resistance (Depending on your Magic Penetration %). Thus with +40 Movement Speed, your chances of escaping from an enemy is high. - "Every 6 seconds your next damaging magical ability will proc, maximum of 3 enemies will be hurt by 150% magic power damage." The Lightning Truncheon is among the most effective items, suitable for almost all of the mages in the game. This item can also add a CC passive effect that takes action whenever Kagura's skill hits an enemy (Can only be activated every 6 seconds of the game). Adding 75+ Magic Power and 30+ Mana Regeneration Rate. With Lightning Truncheon and Enchanted Talisman included in your build, Mana Regenerating problem is no longer a threat. - Spell Vamp is the opposite of Lifesteal. The Concentrated Energy Item enables you to Spell Vamp or Steal Enemy Health Points through your skills. Although there's something unique about this item. Whenever you kill a hero, it will restore 10% of your Health Points. Which means, your Health Points/HP Will be increased after killing a certain hero. This item has the following attributes ; +70 Magic Power, +700 HP/Health Points. 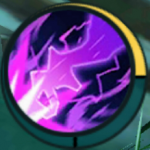 This is very important if you're out of health, using your first skill to feed onto enemy minions and even Jungle Monsters, you can easily recover your Health Points back through Spell Vamping. But be sure not to get caught. - By far the most ultimate and most dreadful magical item in the game. The Blood Wings will enable Kagura to go wild, and powerful than ever. With the attributes of ; 150+ Magic Power and 150+ HP along with the Nirvana Passive Ability. This item should be the last, since you cannot collect golds and cashes easily during the early game. This item suits for almost all the mages in the game, increasing and buffing their Magical Powers ; The Mages can become unstoppable and can cause havoc once the advantage is theirs. - Magical Penetration is highly important. The Devil Tears Magical Item adds +65 Magic Power and 40% Magical PEN / Magical Penetration. Allowing Kagura to become way more fiercer than ever. Like I stated earlier, Magical Penetration is one of the necessary things in order for you to kill your enemy easily. You can replace the Jungle Item "Hunter's Knife"
with this one, since Hunter's Knife will no longer be necessary during late game. - "Burns the target for 3s when the skills hit, dealing 2%/2.5%/3% of the target's current HP as magic damage, at least 10 pts." Among the most effective and useful Magical Items that is suitably perfect for Kagura to wield, is the Glowing Wand. This item will add ; +75 Magic Power, 5% Movement Speed, and 15% Magic Penetration. Also, adding the Scorching effect whenever a skill is casted onto an enemy. You can also replace "Hunter's Knife" with this one during the late game. - "After killing an enemy hero, immediately reduces 20% of current reuse time for all abilities." . With the attributes ; +70 Magic Powers, +15 Mana Regen, +10 Cooldown Reduction. CD (Cooldown Reduction) is also required in order for you to kill time as well as to kill your foe without wasting any more increasing time. With this item, your skill cooldowns will be deducted depending on the amount of enemy heroes you've killed. You can also replace the "Hunter's Knife" item with this one when it comes to late game. 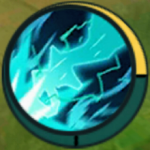 I'm certain that majority of the Kagura Mains are using this combo. Especially when killing an opponent in an instant. For me, this is by far the most "Obvious" and most "Default" Combo of Kagura. Also, you can ONLY spam your 1st Skill once your enemy didn't die after you did the combo. This is highly important in order to prevent your foe from escaping. Also, don't forget. 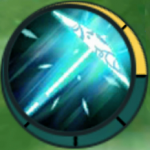 If you're spamming this skill, not only the 1st skill, but also the second skills (Blue and Purple) to stun and delay their escape thus giving you the chance to kill them. PS : Once you've done the combo ( 1st + 3rd + 2nd ) The string that connects from your umbrella to your enemy (The purple line which drags your enemy into your position) will connect to your body. 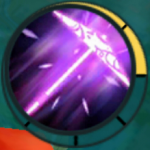 So it's important to move and pursue the enemy, do not break/cut the purple laser-thing line in order for you to have the upper advantage and the higher possibility to kill your foe. Once the purple laser-thing line is cut out, you must follow your enemy as fast as you could and keep on spamming 1st and 2nd (And third if possible) before your enemy reaches their basecamp. BLUE - Is used to pursue or escape from your foe. Highly important and preferable when in pursuit of an enemy hero. PURPLE - Can be used to escape and to stun/stop an enemy from escaping. Can also deal small amount of magic damage to the surrounding enemy/nearest enemy hero + stunning them for a few seconds. You might wonder why Kagura has this "Strategy" with her. Yep. I'm stating the step on "How to have the Upper Advantage at Farming and Levelling and beat your Enemies in an Instant during the Early Game"
Also, tell your teammates that you'll be handling Mid Lane (Middle Lane) for this match. Since Kagura is obviously comfortable at Mid Lane. Once the first wave of minions appears, defeat and kill all your enemy minions then go for the Spinners. Kill the Large One and obtain the Buff. Then kill the smaller one. Make haste, for you must kill the Spinners in an instant before the second wave of enemy minions will arrive. Do the same thing over and over again ; But the Jungle Monsters you must kill is only 1 per wave. The Turtle is a Huge, Gigantic Boss which is located in the early match. You can go and kill the Turtle alone. - If you can see that all of your Opponents are still alive and none of them are still waiting for the delay to ressurect or something. You musn't kill the turtle, for they will interrupt you and steal it from you. Killing your enemy opponents first will reduce the intrusion for having the benefits of slaying the turtle. - Do not keep on staying at Mid Lane, sometimes, Roam is highly needed. You can roam both the Top Lane and Bottom Lane to look for enemies or harvest some enemy creeps/minions. Also, ensure that the Mid Lane is safe. - Heroes such as ; Argus, Hayabusa, Fanny can easily counter Kagura. So you'll need to be wise at killing them. - During Team Clashes, it is your duty to first kill the enemy Mages at the back or kill their Marksmen first. - Use her 2nd Skill (Blue and Purple Form) to escape from your enemies. Also, the Purple form of her 2nd Skill can be used to stun your opponents, reducing the time for them to escape. - Once you didn't acquired the higher / upper advantage during the Early Game, then you must be careful ; Assassins can easily terminate you once you'll get distracted. - Fixed the Image loading with the discussion about her "Combo" where her second skill (Purple Form) Icon didn't appear. Edit: @Demigra here is a header for your thread. you know what? this guide is so good, i wont be surprised if he was part of MLGGuides, a small group in discord that discusses guide creation and constant hype about cool stuff that is going in mlbb, if im right im sure their leader pjtyrant is still recruiting. ahem.. and good job on the guide! you still have to work on better presentation, but as always you know how to make a professional looking guide. THANKS FOR THE GUIDE. That helped a lot, I think I can play kagura now.